Birchbox is a monthly beauty box that includes 5-6 deluxe samples of beauty and lifestyle products that are tailored to you. You get to discover new products and test them out in the comfort of your own home with no pressure to buy the full product if you don’t like it! However, if you do enjoy it, you can purchase the full sizes from the Birchbox store with the most recent month’s brands being available with free delivery (min. £10 spend)! 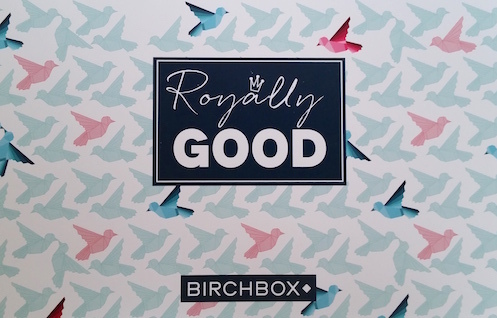 To celebrate the upcoming birth of Kate Middleton and Prince William’s second child, Birchbox have themed this months box around the new royal baby. The Royally Good box comes in two different colours - pink for a girl and blue for a boy - and the box that you receive is a surprise to everybody. To add into the fun, the different coloured boxes are also part of a competition. To enter, you need to take a photo of your box and upload it to Instagram, Facebook or Twitter with a description of what you would do if you were Queen for the day. You also need to make sure that you add the hashtag #HRHBirchbox and by tag @BirchboxUK. Once the royal baby is born, if it is a girl, all of those who uploaded a photo of their pink box are entered into the competition for a chance to win a collection of pink beauty goodies. If it is a boy, all of those with the blue box are entered instead to win a collection of blue beauty goodies! I was incredibly excited to receive the pink box! A few weeks ago, myself and my boyfriend welcomed our beautiful new baby girl into the world. Therefore, to me, this box also feels a little like a celebration for our second bundle of joy! Funnily enough, as a random fact, I was pregnant with my first child at the same time Kate Middleton was with Prince George as well as us being pregnant with our second at the same time, too. In my eyes this theme couldn’t have been more perfect! This month, Birchbox allowed all of their subscribers to choose a sample again, this time out of a choice of three Laura Mercier products. I chose the Foundation Primer as I have heard so many fantastic things about it but admittedly never tested it (the other two options are the Kohl Eye Pencil in Black Violet and the Full Blown Volume Supreme Mascara). The Foundation Primer is of a gel consistency and is designed to be a lightweight base that helps your foundation to last all day. It needs to be applied after moisturiser, but before foundation, tinted moisturiser, BB cream or so whatever your choice is. Whilst I don't want to delve into too much detail here (I've decided to write a full-length review on this product which I will link to as soon as it is up), I will say that if you are on the hunt for a new primer then this needs to be on your list of products to consider if you haven't already given it a go! 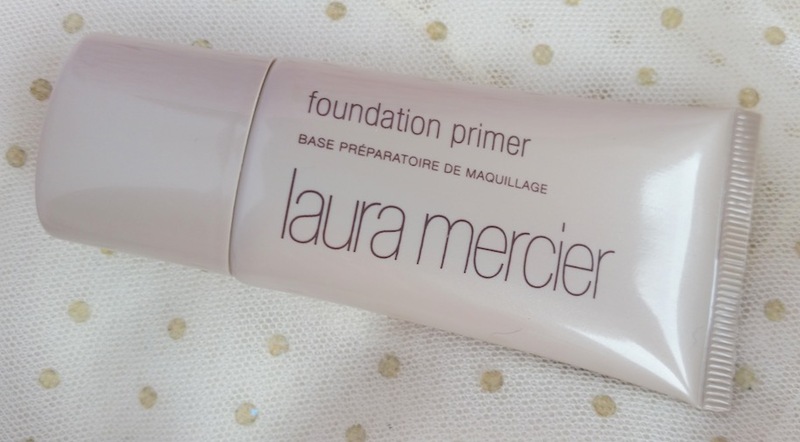 EDIT: My review of the Foundation Primer is now up on the blog! The sample that is available from Birchbox is a 30ml tube of the original Foundation Primer, but it is also available in oil-free and radiance versions. You can purchase a full-size, 50ml tube of Laura Mercier's Foundation Primer for £29 from Birchbox. Korres is a natural skincare brand based in Greece. Their body milks are 90% natural and contain almond oil, aloe, vitamins and Shea butter. They also have anti-inflammatory properties, soften fine lines and support the body's immune system. They also come in a range of scents to suit different personalities and moods. Once again, I'm not going to be going into too much detail here about this product as I have also decided to write a full-length review of this too (that's a sign of a good box, surely!? ), but I must say that this is a brilliant moisturiser to try out now that the weather is warming up. If sound of pear and bergamot does nothing for you, you can check out the rest of the fragrances available to buy at Birchbox here. 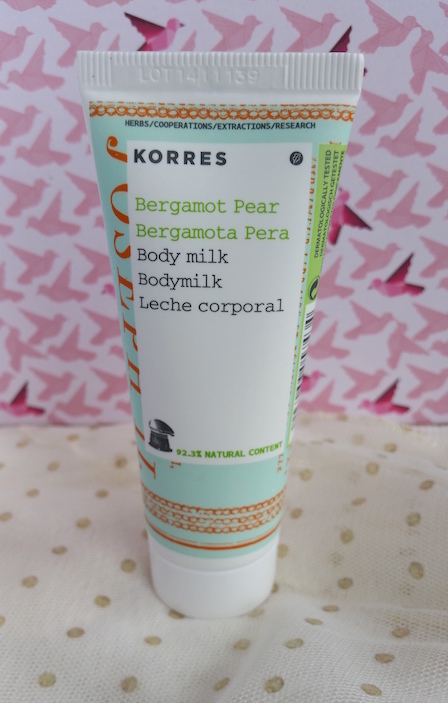 EDIT: My Korres Bergamot Pear Body Milk review is now on the blog! 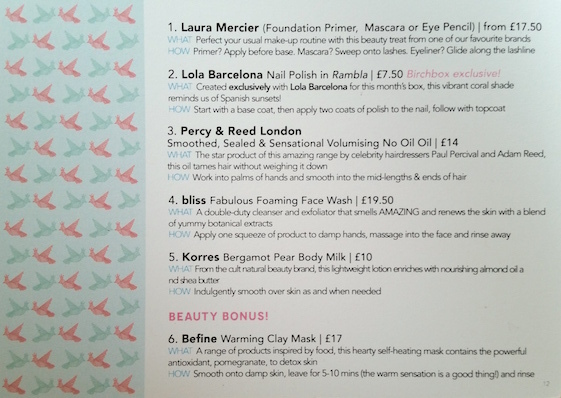 You can purchase a full-size Korres Bergamot Pear Body Milk for £10 from Birchbox. The bliss fabulous foaming face wash is an oil-free facial cleanser by the spa brand, bliss. The cleanser is a 2-in-1 wash and exfoliator that contains rose hips, passion flower and chamomile. I have to admit that I have never used a facial exfoliator with beads as tiny as the ones that the bliss fabulous face wash contains. It doesn't even look like it has any beads in it at all so they are almost a surprise when you use it for the first time. The results are good though. After use, the skin feels smoother, fresher and clean without any irritation. I can imagine this being great in the summer if it is left in the fridge prior to use for a really refreshing treat on hotter days! You can purchase a full-size, 197ml bottle of bliss fabulous foaming face wash for £19.50 from Birchbox. 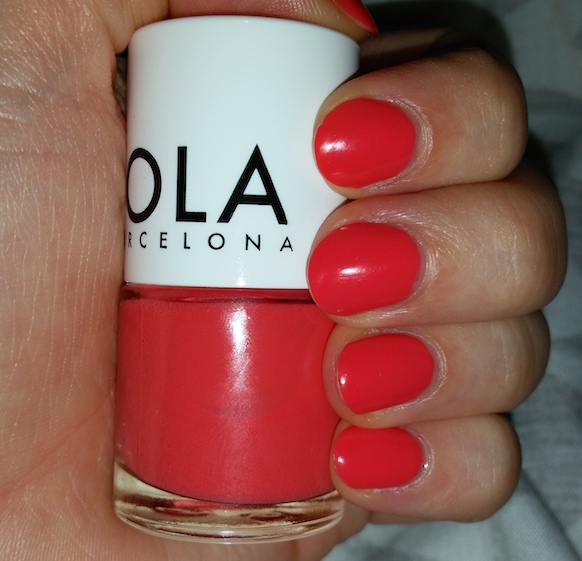 Lola Barcelona's nail polishes are a range of bright, long-lasting, durable nail shades that are enriched with diamond dust. They are also five-free, meaning that they do not contain any toxic ingredients. The brush is designed to coat the nail in one swipe for streak-free application. I think that there are a couple of nails that could possibly do with a third coat (mainly on my toe nails, which I haven't taken photos of! ), but two coats does seem enough in the majority of areas. I found the brush simple and easy to use and it fans out over the nail well, but I'm personally not a fan of big, fat, rounded nail polish brush handles such as this one. The photo above is after two days of wear, so whilst I can't comment yet on the extent of it's claimed durability, I've not encountered any chips or peeling with it as of yet. 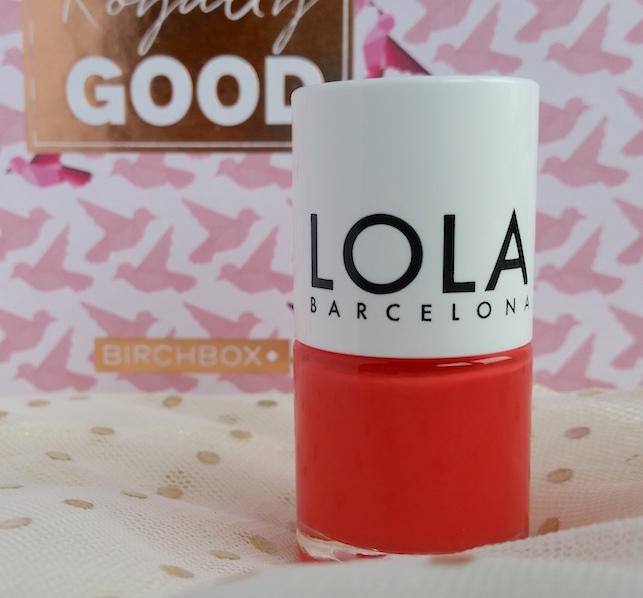 You can purchase the Lola Barcelona Nail Polish shades for £7.50 each from Birchbox. 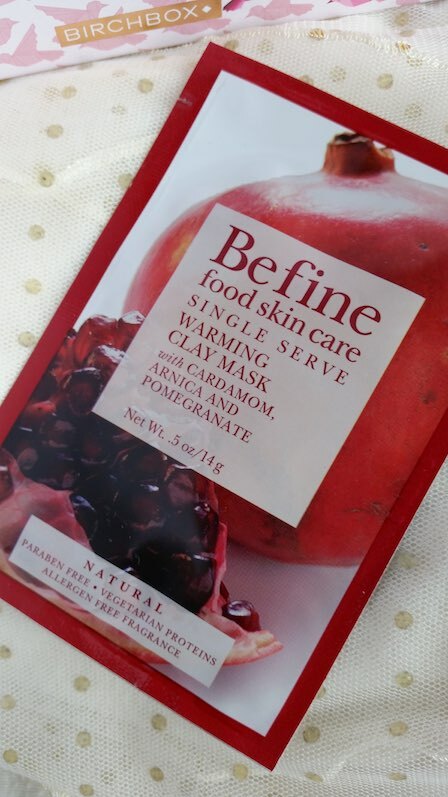 The Befine Warming Clay Mask is a detoxifying treatment for the skin that contains kaolin, pomegranate, cardamom and arnica montana flower extract for smoother, firmer skin and a more even skintone that has more radiance. Upon applying to damp skin, the mask has a warming effect (thanks to its self-warming formula) that helps the ingredients get to work on your skin. After waiting 5-10 minutes, you can remove the mask. 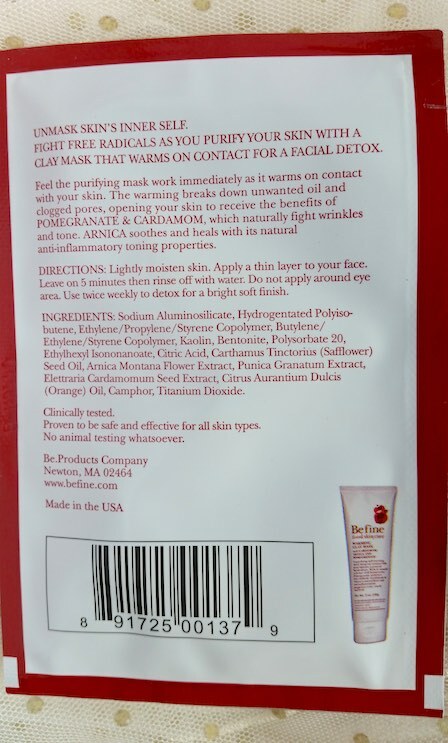 When I gave the Warming Clay Mask a try, the first thing that I picked up on was that the warming sensation isn’t too strong, but it is noticeable. It's a nice feeling though and I quite like it! I also found that my skin felt pretty greasy after using this mask, but when I woke up in the morning (I used it before going to bed) my skin felt and looked great with no greasiness at all. Therefore, if you have oily skin like myself, you may find this better to use at night too. The mask is good though and overall I do think that it works pretty well, so it is worth a try! You can purchase a full-size, 170ml tube of Befine Warming Clay Mask for £17 from Birchbox. The Percy & Reed Smooth, Sealed & Sensational Volumising No Oil, Oil is a nourishing hair product that contains pro vitamin B5 to protect and strengthen as well as violet extract for volume and to add a sleek finish. The Volumising No Oil, Oil was a product that I didn't know much about, but after seeing that I had it in my box I was initially excited to give it a go. However, the No Oil, Oil sadly contains silicones, so therefore I can't put it on my hair to give it a test since I have given up all hair products that contain them. I am planning on passing it on to somebody who I think will appreciate it though, so I will ask them for their opinion after they've given it a try. 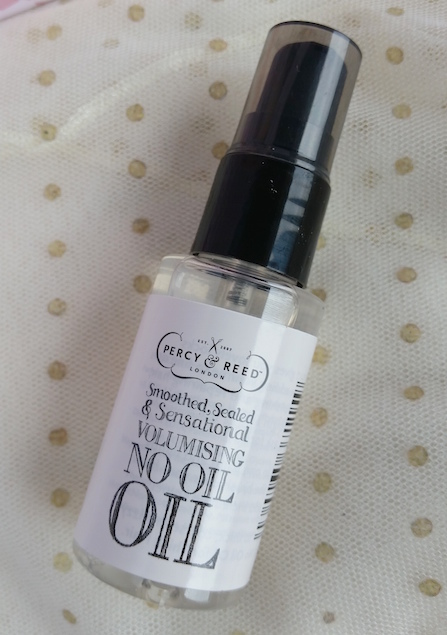 You can purchase a full-size, 60ml Percy & Reed Smooth, Sealed & Sensational Volumising Oil for £17 from Birchbox. Overall, I think that this box is a great improvement on the March box from last month. My favourite products this month are the Laura Mercier Foundation Primer, Korres Bergamot Pear Body Milk and Lola Barcelona nail polish in Rambla. Are you subscribed to Birchbox? If not and you would like to, subscribe here*! 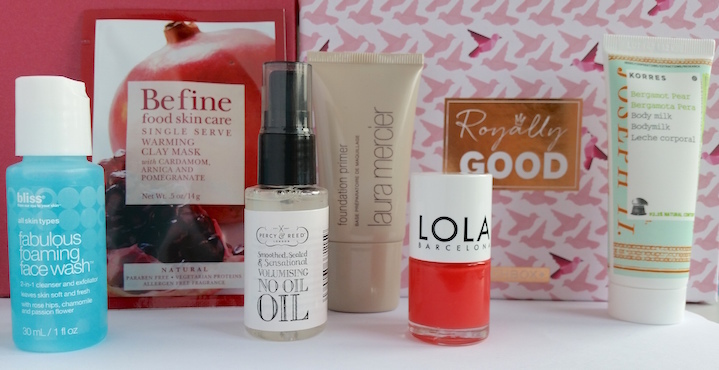 What are your favourite products from this months box? Did you receive different samples? *This is my referral link. Signing up via this link will credit your account with £5 worth of Birchbox points to spend in the store as well as my own account.